I have a thing for contrasting styles: soft and hard, sweet and edgy, structured and ripped. Pairing a blazer with distressed pants is one of my favorite looks. I love Julianne Hough's casual street style look above. Not only is it sophisticated, it's also fresh and fun. What's your take on this mixing trend? On Sunday I'm off to the Justin Timberlake/Jay Z show. ICANNOTWAIT! Should be a good weekend. 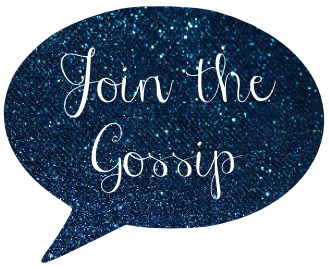 I'll see you all back here in a few days for Monday Morning Gossip! I'm so excited for you and the concert. It'll be a blast. Can't wait for you to tell us all. GREAT style crush! She always kills it! Love this outfit. They've already played Toronto and I heard it was AMAZING. Have a blast! And I love, love this outfit. Hope you do recreate it. I love Julianne Hough! I love her style and she's my haircut muse also, haha. I always love her style! Julianne Hough always looks amazing! Have fun at the concert, JT and Jay Z should be crazy good! This is perfect. Totally copying her look once it gets a little cooler out! And OMGHAVESOMUCHFUN, I am beyond jealous!! Girl, you nailed it!!! Love that you found almost identical pieces! She is one of my style icons...adore her...and possibly want to be her! ;) Have fun and the blog brunch!